I would imagine it is incredibly difficult to create historical fiction about legendary figures and there are few that loom as large as Abraham Lincoln in American history. 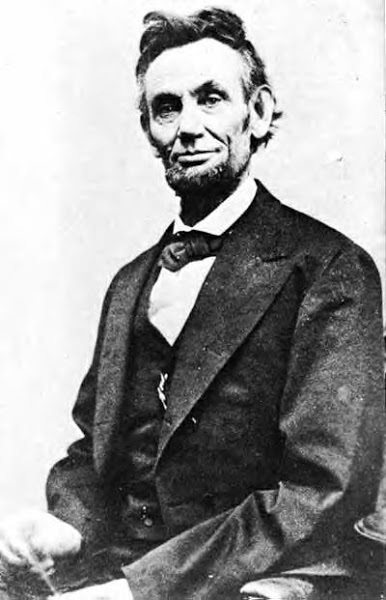 Since everyone knows of him, the modern storyteller has a duty to accurate present the facts without over dramatization or moralization – Abraham Lincoln, Vampire Hunter not withstanding. With an interest in history (and of Oscar contenders with high caliber acting), I saw Steven Spielberg’s Lincoln this weekend and loved it! Besides the excellent production, script and cast, I was amazed by some of the historical tidbits that may have blown past viewers. As unbelievable as it sounds, the major plot elements are essentially all historically accurate, but it was the look of the film and the historical details that really made the movie for me. The styling of the cast was excellent. Slate has a good side by side comparison of the characters and historic counterparts. I would add Secretary of War Edwin Stanton, Secretary of the Navy Gideon Welles and Lincoln’s personal secretary John Hays to the list of impressive impersonations. Look for the them too. You can catch Lincoln referring to Welles as “Father Neptune” which was his rather apt nickname for the Secretary of the Navy. 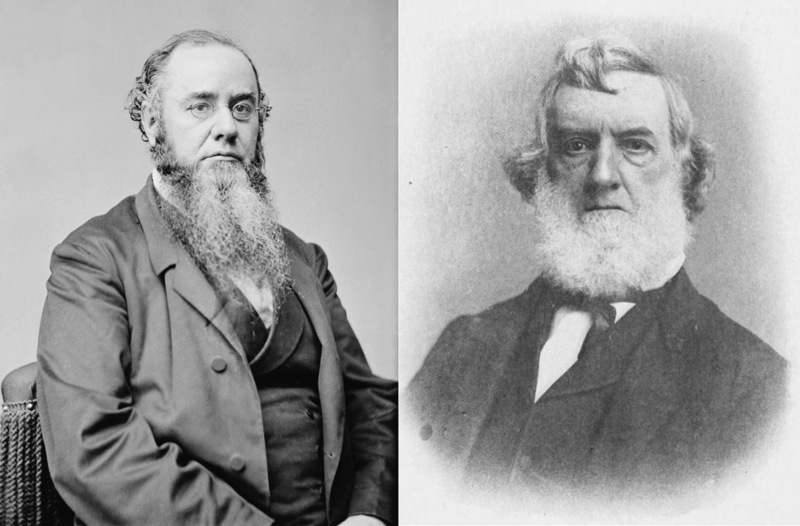 The characters of Edwin M. Stanton (left), Gideon Welles (right) and John Hay (below) all looked the part in Lincoln. There are several scenes which take place on the paddle steamship, River Queen. The long shots of the ship’s exterior reference historical photographs while the filmed interior is styled exactly like this contemporary painting of the vessel. George Peter Alexander Healy, “The Peacemakers” 1868 (The White House, Washington, DC) showing Sherman, Grant, Lincoln and Porter aboard the River Queen. I also like the large crowd shot of Lincoln’s second inaugural address. The film even reproduced the wooden platform. So how closely were you paying attention? At one point in the movie, there a montage of Seward’s agents hustling for House votes. One Congressman appears to be in a museum looking at an embalmed, amputated calf and foot in a case labeled Daniel Sickles before the henchmen set upon him. It passes quickly, but this is an incredibly accurate but obscure historical reference! Congressman Sickles became famous in 1859 for stalking and killing his wife’s lover (the son of Francis Scott Key) and then was acquitted of murder using the first temporary insanity plea in US history. To improve his image, he took a leadership position in the Union army during the Civil War. Willfully disobeying commands, Sickles led his unit into an vulnerable position at Gettysburg. In this battle, his troops were routed and his leg was fractured by a cannonball. 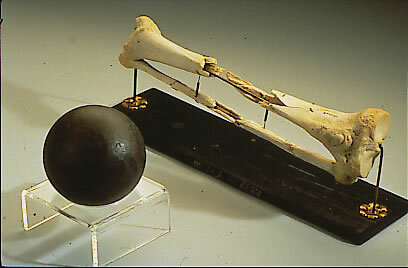 After the amputation, Sickle donated the leg to the Army Medical Museum as an oddity of war. A body part wounded in battle from an infamous politician would no doubt have attracted local attention and so it is totally unsurprising that a Congressman was found there observing the piece in the film. I would definitely recommend this film which documents an important chapter in American history while still illustrating the difficulty of governing. I applaud Spielberg and his team for creating a beautiful and honest representation of America’s history and a great man. Great piece. Having read Doris Kearn Goodwin’s Team of Rivals a few years ago, and become even more impressed with Ab Lincoln as a result, I personally can not wait to see this film. Great post- Arran. Thanks – I’m not sure how I missed Team of Rivals when it came out but I definitely want to go back and read it now. Enjoy the film! I wasn’t too inspired by the television trailer but you’ve persuaded me to see it. Fascinating post, Christina.